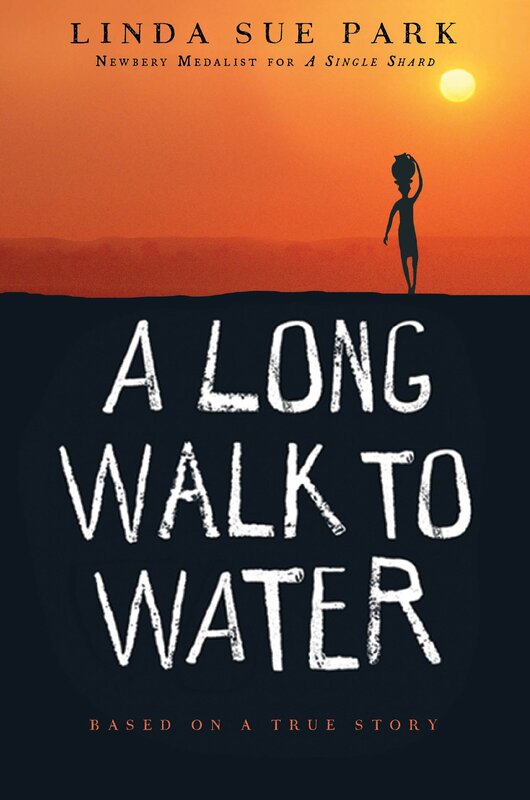 Linda Sue Park’s A Long Walk to Water in an inspiring story about two children in Southern Sudan in two different time periods. The book is broken up into two different stories. The first story talks about a young girl named Nya starting in the year 2008. The other explains a boy named Salva’s life starting in the year 1985. Eventually the stories collide. War broke out in Southern Sudan 1985, and eleven year old Salva is running away from his family, town, and school just to get away from the fighting. The other story is about Nya who walks eight hours every day to get water for her family. “Each time, Salva would think of his family and his village, and he was somehow able to keep his wounded feet moving forward, one painful step at a time” This quote is from chpt. 7. pg 41. Salva walked away from a war-torn village. He is a “lost boy” refugee, that is destined to travel Africa on foot, searching for his family and safety. After staying at about three different refugee camps Salva has the chance of his lifetime to escape the war for good. Salva had to travel to different camps because many of the camps he stayed at were closed down. Most of the camps that Salva lived at closed because they were drowned, shot, or eaten by crocodiles trying to cross the Gilo River. A Long Walk to Water goes into detail about Salva’s life during the war. Salva ran away from his village when he was eleven. He ran into the bush behind his school because of the fighting. The classroom window was shattered by bullets from the war, so he got separated from his family. Will he ever find them again? Nya walks to and from the pond twice each day for eight hours. Not only is Nya walking all morning, but she is also walking through thorns and mud. In Nya’s village, like most in Africa, the girls and women did not go to school. Then her, life is remarkably changed for her and her whole village forever. The life lesson in this book would be think about each other at the end of the book Salva helps out the citizens who live in his old village in a very special way. This is the life lesson because it teaches readers to think about each other and not just themselves. This is because near the end of the book, Salva wants to do something to help his country because it is still at war. In a Long Walk to Water, the setting is much different from the world: Sudan is very dry and hot at times but can also have a lot of rain. Linda Sue Park illustrates the setting of the hot, and dry deserts. A Long Walk to Water held my interest from cover to cover. It showed me that the war in Southern Sudan was a real struggle for the Sudanese who were trying to ignore the fighting. Enduring every hardship from loneliness, to attack by armed rebels, to contact with killer lions and crocodiles, Salva is a survivor, and his story goes on to intersect with Nya’s in an astonishing and moving way.